Crochet a Tropical Pineapple - Sweet, juicy and fresh! A pineapple is not only yummy, but also a true must have nowadays! From cool prints and designs to a trendy home deco item to style your living room. This fashionable crocheted pineapple is the perfect item to cheer up your living room! Sc. 6 in a magic ring with yellow. Round 4: Sc. 72. Cast off and change colours to yellow. Round 5: Cast the yellow yarn on in a sc. that is above a dc. between 2 of the shells. Ch. 3, dc. 8 in the same st., skip 3 sts., sc. 1, skip 3 sts., *dc. 9 in the same st., skip 3 sts., sc. 1, skip 3 sts. * Repeat from *to*. Close with a sl.st. and change colours to beige. Round 6: Ch. 2, sc. 8, dc. 1, ch. 1, dc. 1 in between the sc. of 2 shells. *sc. 9, dc. 1, ch. 1, dc. 1 in the sc. between 2 shells* Repeat from *to*. Cast off and change colour to yellow. Round 7: Cast on the yellow yarn in a *ch.1 space and work dc. 9 in this ch. space, sc. 1 in the middle of the next 9 sc. of the previous round* Repeat from *to*. Close with a sl.st. and change colours to beige. Round 26: Ch. 2, sc. 8, sc. 1 in the sc. between 2 shells, *sc. 9, sc. 1 in the sc. between 2 shells* Repeat from *to*. Cast off and change colours to yellow. Round 27: Cast on the yellow yarn in a sc. between 2 shells and work *dc. 7 in this sc., sc. 1 in the middle of the next 9 sc. of the previous round* Repeat from *to*. Close with a sl.st. and change colours to beige. Round 28: Ch. 2, sc. 6, skip 1 st., *sc. 7, skip 1 st.* Repeat from *to*. Cast off and change colours to yellow. Round 29: Cast on the yellow yarn in a first sc. of a shell and work *dc. 7 in this sc., skip 6 sts. * Repeat from *to*. Close with a sl.st. and change colours to beige. Round 31: *dc. 1, dc. 2 in the next st.* Repeat from *to*. Round 32: Sc. 2 tog. Repeat until the round is finished. 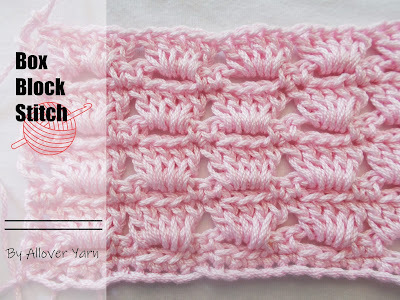 Draw your yarn through the last st. and pull the yarn tight. Weave in the ends. Crown/Green leafs:The leafs are crocheted in rounds. Sc. 4 in a magic ring. Rounds 6 - 33: Sc. 18. Rounds 5 - 18: Sc. 12. Attach the big leafs together by folding them around each other a bit. Then you can attach the little leafs around it. Join the crown of leafs to your pineapple with a few small stitches.